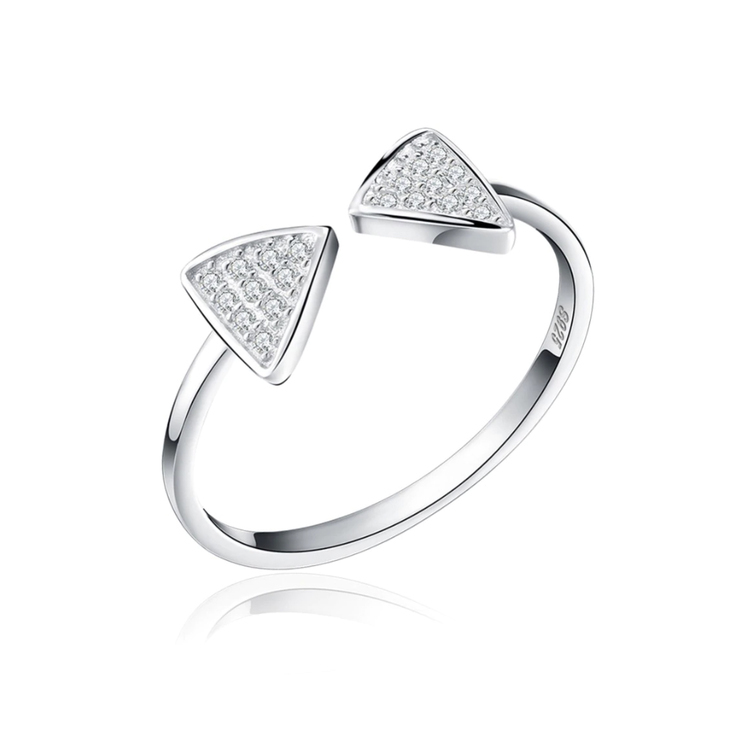 We designed this one-of-a-kind Open Triangle Ring to perfectly suit your style and add a touch of glamor to any look. 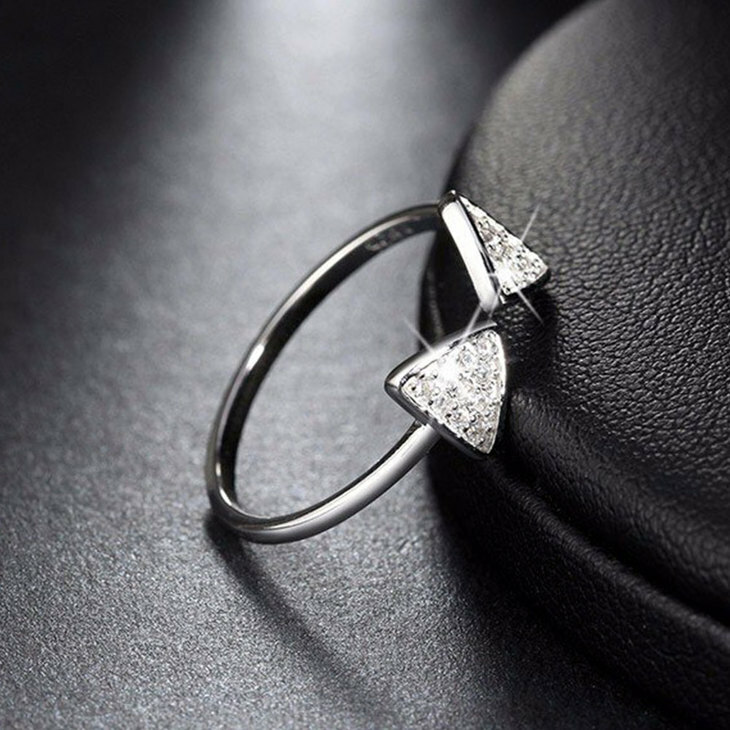 This dainty ring has a unique open triangle design, bedazzled with crystals, forming a bow style look for a feminine feel. 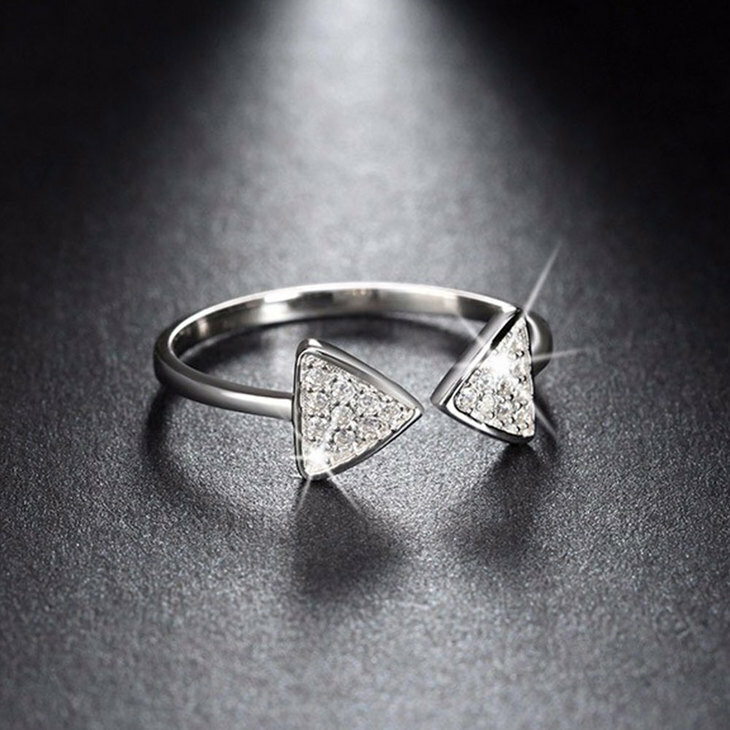 With this delicate ring style, you can layer this up with midi rings or bracelets to add a funky and fashion-forward vibe and dress up your outfit, no matter how casual. 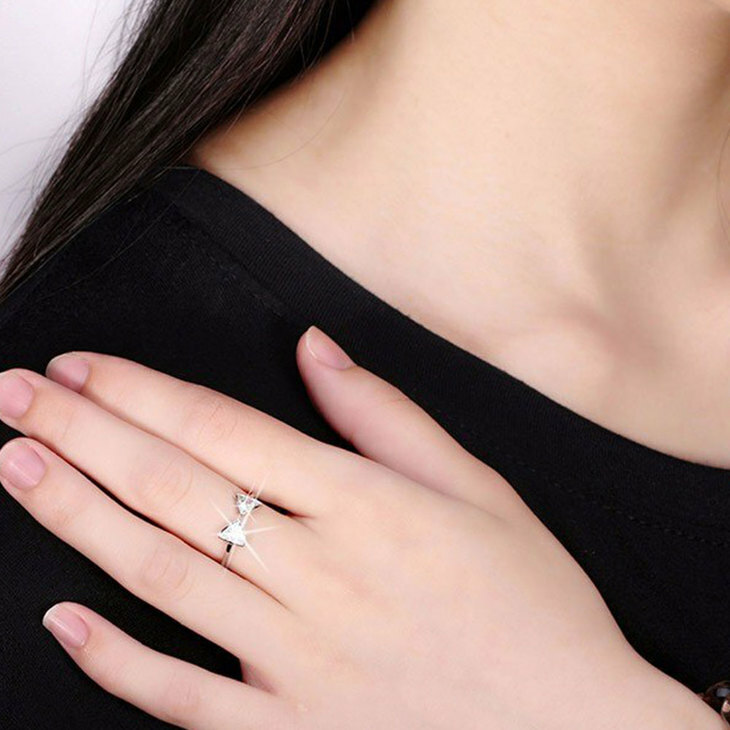 Order now, in your favorite shade of silver, rose gold or 24K gold plating. Free Worldwide Shipping!